Today we gather with our friends and family to commemorate Memorial Day. 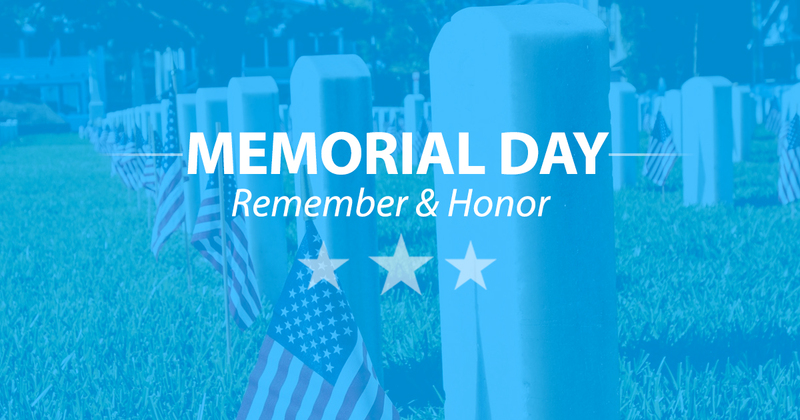 While this holiday has long been associated with the beginning of summer, members of our Guard family recognize its true purpose, as a moment to honor those who have paid the ultimate price serving in the defense of our Nation and its ideals. With that in mind, this weekend, as many Americans are setting up their barbeques and beach chairs, set aside a moment to remember those who Abraham Lincoln described as having given, “their last full measure of devotion.” Ensure that our brothers and sisters-in-arms, who have sacrificed their lives for us and this great Nation, are afforded the respect they have so valiantly earned. While the bedrock of this holiday is in the commemoration rather than celebration, it must be remembered that commemoration and enjoyment aren’t mutually exclusive. Take time this weekend to enjoy the freedoms which have been afforded to us. Remember to keep safety at the forefront of your minds, especially with the severe weather we are experiencing. Memorial Day has become notorious as a weekend for an uptick in preventable injuries—stay vigilant. As I’ve said before, thank you for stepping forward and answering the call of service, and thank you for ensuring our Florida National Guard is ALWAYS READY, ALWAYS THERE!